Caption slip reads: "Photographer: Forbes. Date 1954-08-18. Reporter: Petty. Assignment: Beaten Dog. 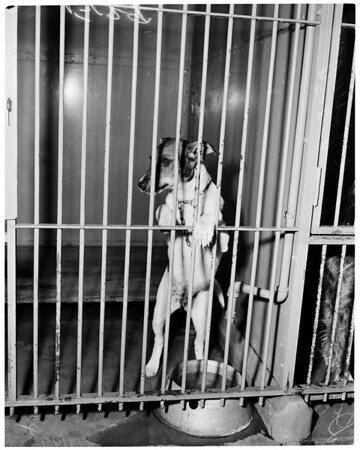 129/130/51/52: Beaten dog by Alfred Lettuga at Ann St. Animal Shelter".